Fancy yourself as the next Robin Hood? Archery is a challenging activity which will test your ability to concentrate and stay steady until, the unmistakable sound of arrow hitting target. Whatever your aim, archery has something to offer. Do you fancy yourself as the next Robin Hood or Sheriff of Nottingham? Perhaps you are after a quiet half day of getting to know this majestic and historic sport? Or maybe you are just after a fun activity as part of a package? Whatever your aim, archery has something to offer everyone. Archery is a challenging activity which will test your ability to hold a concentrate and stay steady until, the unmistakable sound of arrow hitting target. 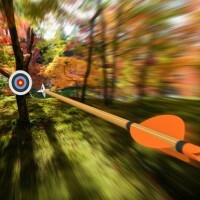 Archery can take various forms, including target practice, competition, or field archery. It works well for school & youth groups, corporate event and hen parties in particular. Let us know what you want we will be sure to hit the target.